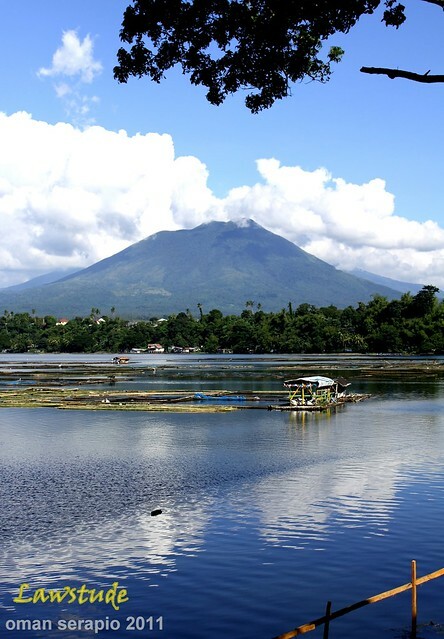 Sampaloc Lake is one of the seven volcanic lakes that give San Pablo the monicker of "City of Seven Lakes". This lake is closest to the City centre and the most accessible of them all. Located off Schetelig Avenue, it has a paved trail around the edge that you can walk in one hour. A park surrounds the lake and is probably the most popular hang-out for the locals there. And it is pretty much accessible from Manila too and perfect for a day trip because it is barely just three hours away from Manila sans traffic. I was there at mid-day so the sun peaks at the highest and too scorching at that. The sky is perfectly blue and reflects on the calm-green waters of the lake. 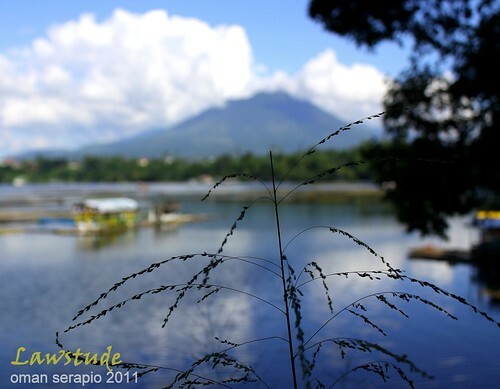 The Mountains of Makiling and Banahaw provided the perfect backdrop for the shots. Some of my travel-blogger friend have come to this lake and have taken shots at sunset. I was mesmerized by their shots but then again, I have to do that some other time because I don't have the luxury of time to spare there. Sapaloc Lake is named after a sour-fruit bearing tree that abound the area. Sampaloc is the tagalog word for tamarind which is a popular soup base for "sinigang". But contrary to its name, there is nothing "sour" in this area but rather pure refreshing sight as well as some sweet gastronomic delight such as this twisted, sugar-coated dough that only San Pablo can offer. For other amazing places around the world, please click here. parang sarap tumambay lang jan ah. yung last photo. bread ba yan with sugar? 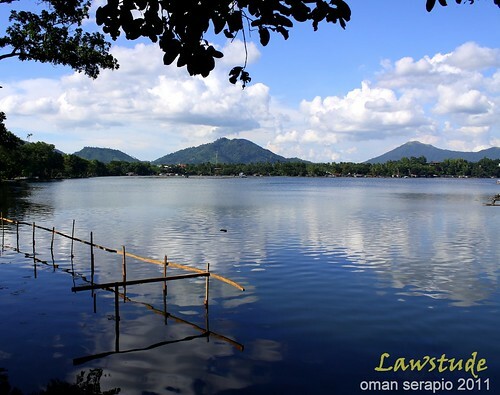 naku very familiar ako sa Sampaloc Lake.we have a nice view from our church and that was where i stayed when i served a volunteer mission after the Bar Exams in 1998! nakakamiss. i completed the 7 lakes during my 3 months stay there! Gorgeous lake, yummy food, what am I waiting for? Very beautiful lake and the food looked yummy. I love the view... and than the food... yammy! What a perfect place for a delighttful walk around the lake and finished off with those delicious goodies. The lake area is so scenic and love how it's so accessible to the public! Beautiful photos! Such a lovely scenery. I would love to go there. I think I saw something like the last pic somewhere in Bacolod too. a refreshing sight by the lake. specially the view of the hills near the lake. 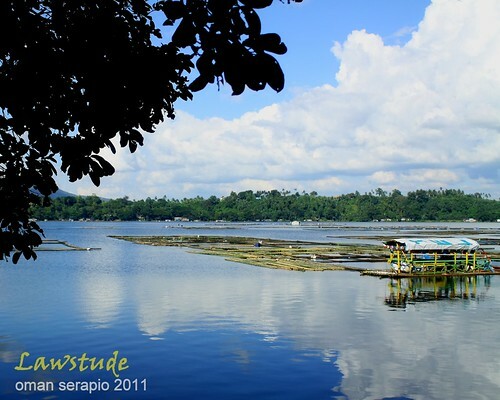 wow ang ganda naman ng lake na yan.. super great shots.. at ang lapit sa manila!!! hmmm makapunta nga dyan one of these days!! 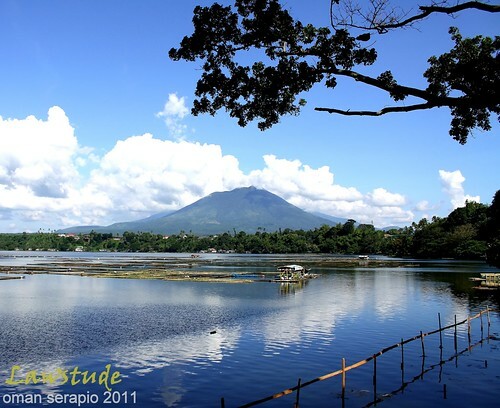 3 hours lang mula samin..
What amazingly lovely pictures - love those serene reflections! What a gorgeous place, Oman, and your photos are superb as always! And, as always, it's a delight to visit your world! Hope your week is off to a good start! Enjoy! The view is definitely a sweet one, awesome photos as always! I have been to that place a couple of years ago and the place does not dissapoint if only for the nice scenery. Although it can get too crowded at weekends. Your photos at midday have lovely qualities too. I've seen Allan's sunset shots here too. It is so near but just been there once a long time ago! I miss that 'pilipit', which we sometimes encounter too in Batangas. very scenic, perfect quick getaway spot for manilenos. Ang ganda ng view, pwedeng pang calendar. I agree that this is a good road trip from Manila. Maganda rin kasi daan papunta jan.
That place would be perfect for a weekend get-away. 3 hours away from Manila is really nice. Such a beautiful sight. I would love to go there. 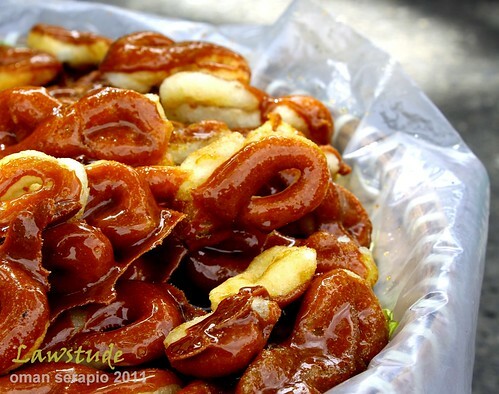 Akala ko sugar-glazed tamarind yung last pic, doughnuts ba yun? Blogtrotter Two wanders currently around Porto Vecchio and the beaches in the region! Enjoy and have a wonderful week ahead! Calling all Ateneo Law School Graduates!